I’m sure you don’t want me to bore you with the details of my own story, but let me tell you a little about the book and how it came about. Garret Pearse had been reading True Tales of American Lives by Paul Auster when the Haitian earthquake struck. He thought how wonderful it would be if he could do an Irish version as a way of raising money for Haiti. So about my own story… ah no, only joking! And so A Pint And A Haircut was born. It’s a collection of around seventy true Irish stories. The authors come from various walks of life and from all around the world. Now I did suggest we have a launch in each of the countries represented (just to be fair, you know) but Garret wasn’t keen. Sometimes when the news flashes die down and the papers stop printing stories of a disaster, we tend to forget. It’s not on the telly any more so everything must be okay. Well it’s far from okay in struggling Haiti. Garret hopes that this book will bring awareness of the ongoing plight of Haitian people and all royalties will go directly to Concern’s ongoing relief work there. Now I know you’re on the edge of your seat; waiting to hear all about my own story that’s included in the book, aren’t you? Yes? I thought so! My story is one that’s been told to me and my brother many times by our mother. It involves a lost engagement ring, a win on the pools and a car called Daisy. Mum and Dad have been married for 55 years and are very proud to have a story published about them. And just in case this post is too short (because we all know how I hate to babble on! ), it’s the third one in a blog tour. You can see the first one here written by Eolai gan Fheile, who’s painted the fantastic cover for the book as well as having a story included. The second one is by another one of the authors, Jane Travers, and you can see her post here. And finally, the book should be available in all good book shops or order it online directly from the publisher, Londubh Books. It’s a cold and rainy day here in Dublin so I thought I’d post something that hopefully will make you smile. I write a lot of children’s poetry but the ones my children especially love, are the ones that tie their tongues in knots and have them giggling in their efforts to recite them as quickly as possible. Hope you enjoy! Hope helps us to control our fears. In times of sickness, poverty or mourning, she’ll give us courage and a sense of direction. Although we may sometimes feel we’ve lost her, she’ll always be there, quietly waiting to take our hand and guide us. Hope gets us through the dark nights with the promise of the rising sun. She fans her feathers like a peacock and fills us with excitement of what lies ahead. We may sometimes feel we’re risking pain by letting her in but the greatest pain of all is to be without her. Hope is the music that banishes grief. We should cherish her and always allow our hearts to be filled with her song. When I first heard of The Big Book Of Hope I was excited. I was thrilled that two of my friends, Hazel Larkin and Vanessa O’Loughlin, were bringing together such a fantastic group of people to share their immense talent in a book. This amazing book of short stories has something for everybody. The contributors range from best-selling authors and celebrities to business people and political figures. 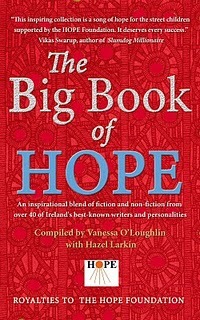 The stories are a mix of fiction, non-fiction and memoir and all have a common theme of hope. Although I knew all the proceeds would be going to a good cause, I didn’t really think much beyond that. Last night I was at the launch and stood listening to Maureen Forrest, founder director of The Hope Foundation. I really struggled to keep my emotions under control. 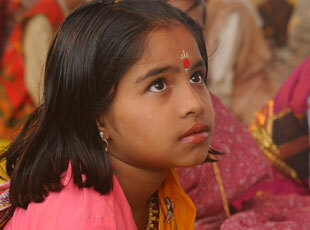 Did you know that 250,000 children live on the streets of Calcutta? They are born into extreme poverty and many are abandoned and abused. They eat, sleep, wash and go to the toilet in the streets and in the slums of the city. The Hope Foundation, founded in 1999, funds many different projects that have the single aim of changing the lives of these children and their families. Their goal is to provide supports and skills that will enable them to build a better future for themselves, free of poverty. The launch was a great success. There were many whispers of “ooh look who’s over there” and “doesn’t he/she look different in real life” as well as the clink of glasses and requests to “fill it up again please” (but that last one had nothing to do with me!) All the books were sold on the night which hopefully is a sign of things to come. 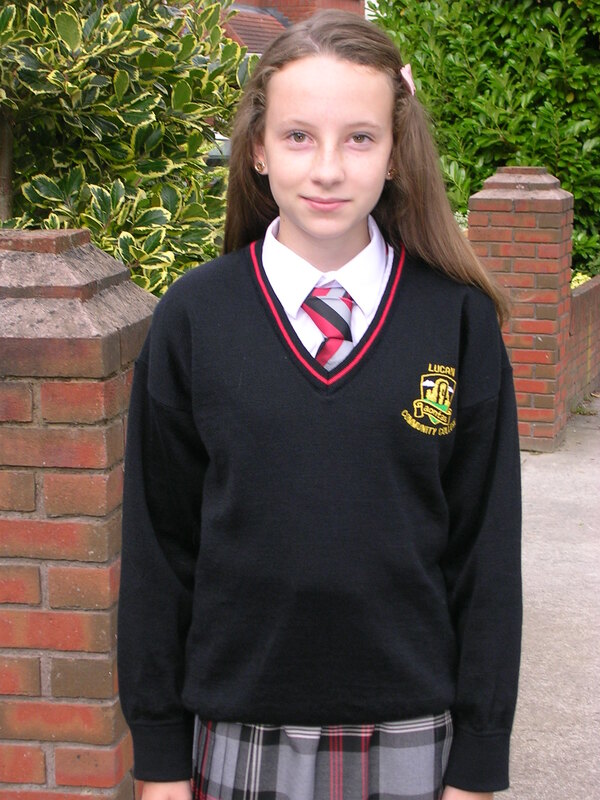 Well it’s back to school time again. Can you believe it? Did somebody take August and hide it or was it actually here? In June, summer is spread out before us in all it’s glistening glory but in the blink of an eye, it’s back to Uggs and umbrellas and… oh wait; that covers the summer too, doesn’t it? I have to admit to finding the passing of time scary. Yes, it’s exciting to see each new stage of my children’s development. It’s good that I now have more time for myself and can finally write, like I’ve always wanted to. But the scary part is that my children seem to need me less and less as they get older. Of course they need me when there’s a funfair in town and the rides are three euro a pop! They need me when there’s a disco on Friday night and they have absolutely nothing to wear (despite their heaving wardrobes!). Does that sound very cynical? I don’t really mean it to. They’re all great kids and I count my blessings every day that I have them. But sometimes – just sometimes, I wish I was back lying on the floor making jig-saws and tucking them up in bed at seven o’clock! But life moves on and I’ll embrace each new wrinkle I get when my son is home late and cherish each grey hair that grows when my daughter wears a belt for a skirt! And do you believe that?? I didn’t think so. I actually cry into the mirror at the sight of wrinkles and curse each and every grey hair in my head! Life is such a roller-coaster with children – and I’m finding this more and more as two of mine enter their teenage years. Sometimes nothing I can say or do is right. I know a lot of this is hormonal (my own hormones included!) and I should cut them some slack but it’s not always easy. I just have to hope that they’ll one day realise that I only ever have their best interests at heart and that I can get them into adulthood with relative ease.